Sully, the service dog who accompanied George H.W. Bush during the former president’s final months, will be traveling with Bush’s casket on his flight to Washington on Monday, a source told Fox News. 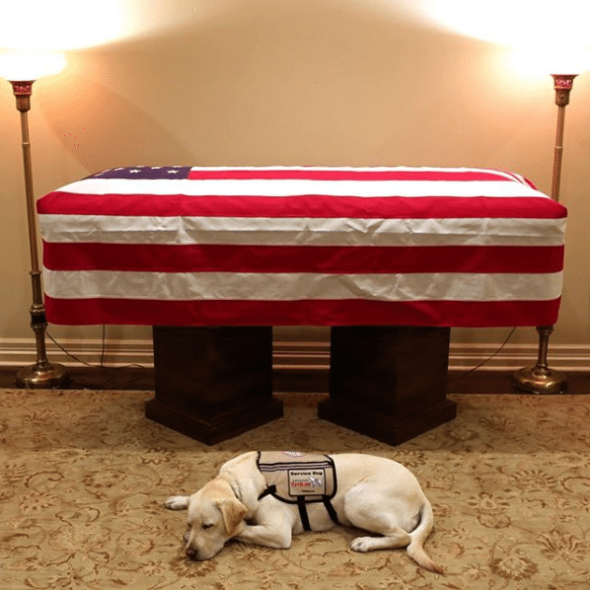 Bush family spokesman Jim McGrath on Sunday night honored Sully, tweeting a photo of the yellow Labrador retriever next to Bush’s casket. “Mission complete,” McGrath tweeted. Sully’s Instagram page showed the same photo.